I mentioned of my final visit to the NSLS before its impending shutdown. 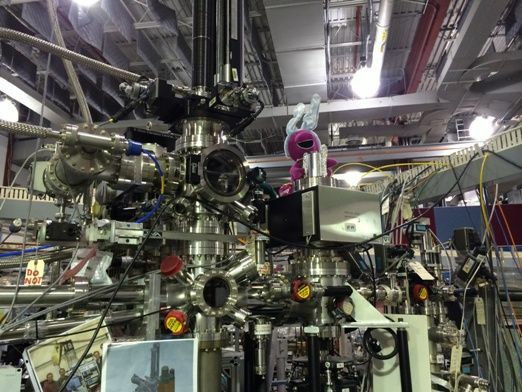 I had to stop and chuckle at one of the UV beamlines during my casual tour around the place. 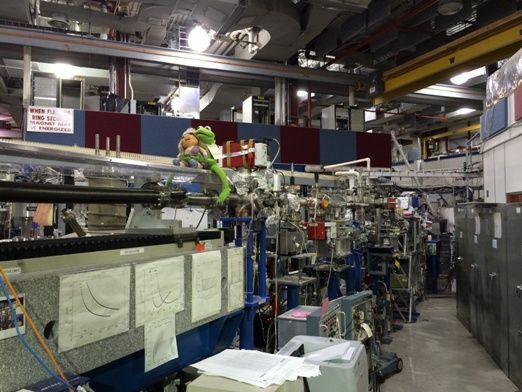 There were cuddly plushes strategically placed along the beamlines, including Kermit and Miss Piggy in a rather amorous position (not that there's anything wrong with it). 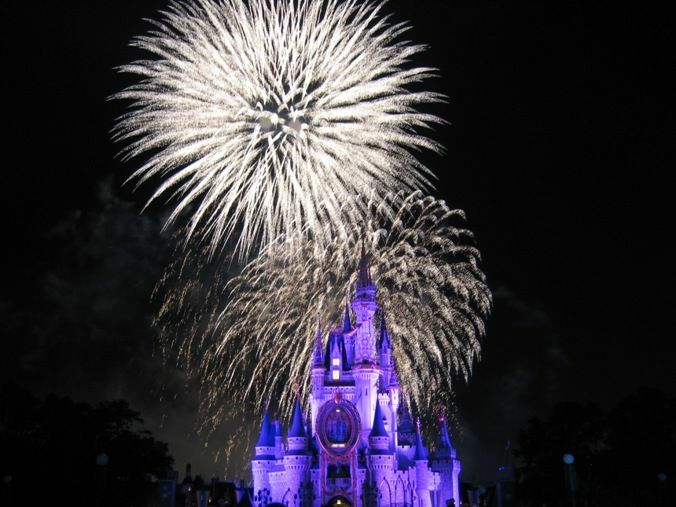 And yes, I took a few photos. I hope they remember to rescue these guys before the wrecking ball arrives.